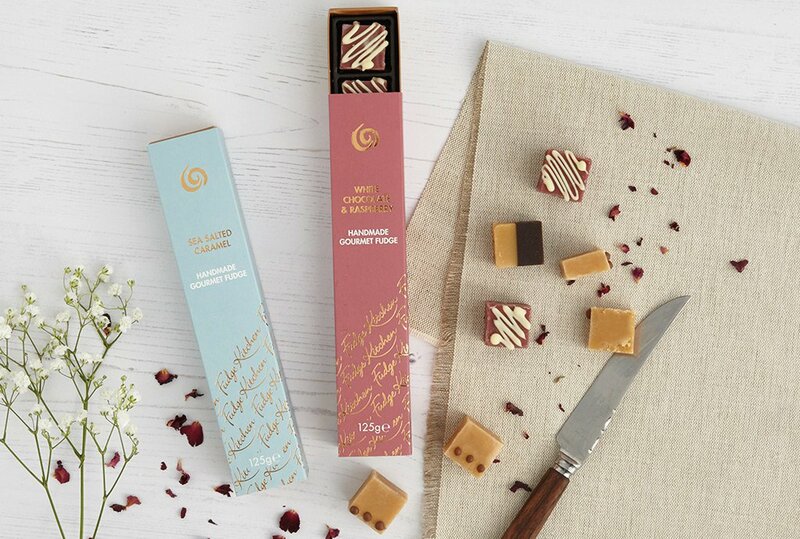 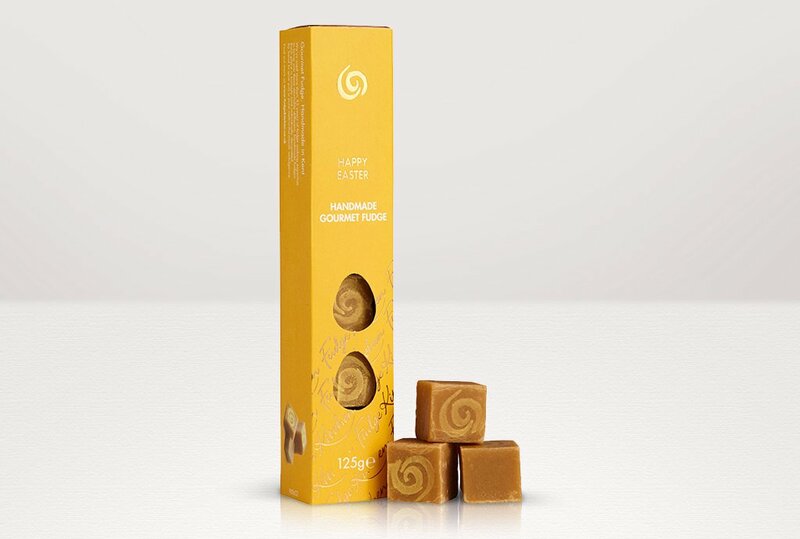 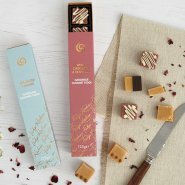 From the gourmet butter fudge range, these streamlined beauties have lined up six generous squares of Traditional hand made, hand decorated fudge in a sliding luxury foiled tray. 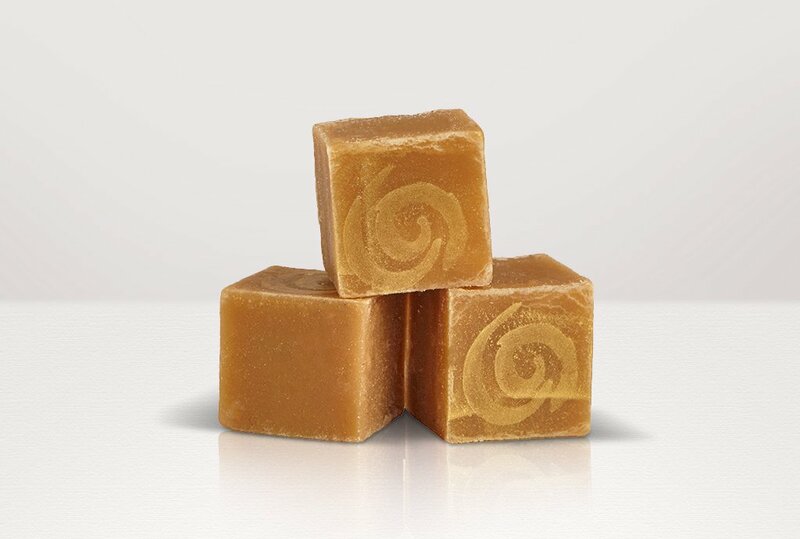 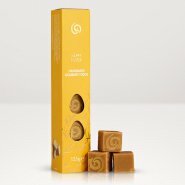 Handmade by artisan staff, using all natural, gluten-free ingredients, including Madagascan vanilla and light brown sugar and hand decorated with a gilded FK swirl. 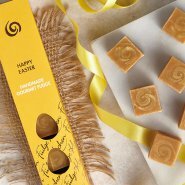 Perfect for Easter baskets, to slip inside a bunch of daffs or as a gift for whoever is roasting your lamb this year. 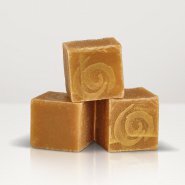 Sugar, Golden Syrup, Whipping CREAM, BUTTER (8%), Vanilla Bourbon Madagascar Bean Paste (Pure Cane Sugar, Water, Pure Madagascar Bourbon Vanilla Extract, Vanilla Bean Specks, Thickener: Tragacanth Gum) (1%), Emulsifier: SOYA Lecithin, Salt. 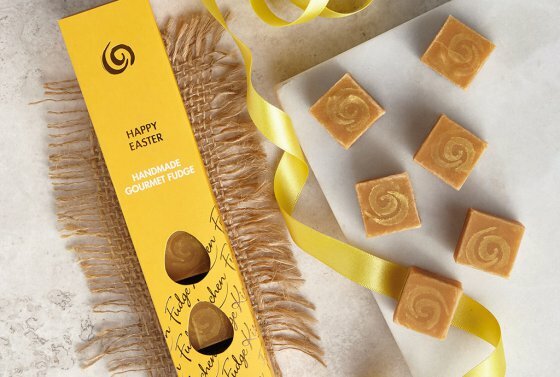 Decorated With Metallic Gold Powder (Titanium Dioxide, Iron Oxides).